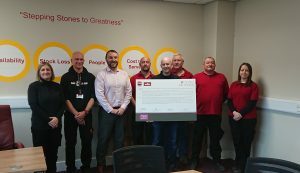 A few weeks ago W21 Branch signed the dying to work charter with Senior members of Wilko management to protect Terminally Ill team members. The signing of the charter reassures our membership of their right to dignity whilst alleviating the fear of unnecessary upset and leaving their families facing financial hardship. 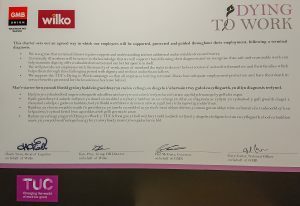 This campaign spear headed by W21 Branch both protects and reassures the 20,000 team members across the Wilko business.